Welcome to the Off Road Podcast. Today we will be exploring the off road world-- whether you like crawling up rock ledges or enjoy exploring the backroads with your family. 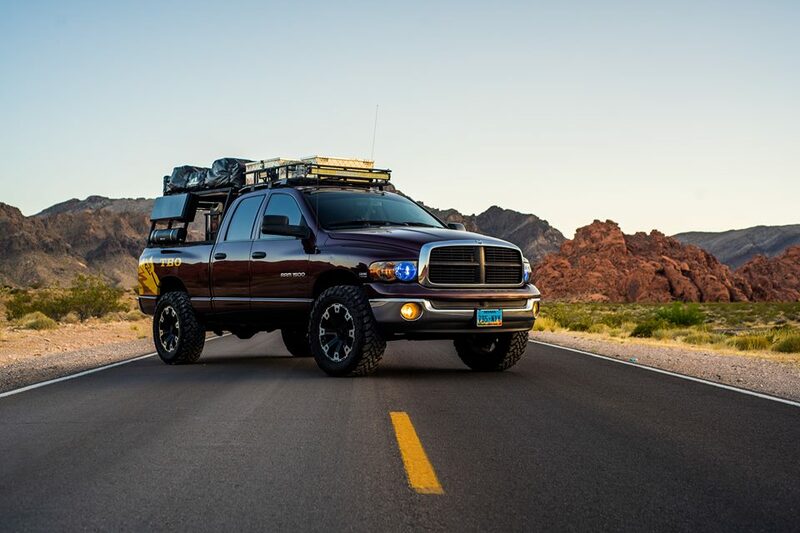 Stay with us to find out events in your area, off road news, and topics to interest every guy & girl who craves the outdoors as seen through the windshield. I am your host Ben here with my co-hosts Aaron, Steve, and Jeremy. And our guests Steven, Dillan and Tim How’s everyone doing? Ben - Got rear-end lifted. Working on inner and outer tie rods. Very frustrating with skid plate all messed up. Jeremy - Installed heated grips on my KTM to battle the winter air. Steve - Finished the onboard air and truck box. Got to test out the compressor today after church, that was kinda cool. Aaron - Got the LMTV stuck in the field. Got 3 more rigs stuck in the field trying to get it out. Ended up using my Nissan and my 10k Warn winch to pull it out. How did you each get into off roading? Favorite Mod you have done to your rig? Mods you wish you did differently? Favorite piece of offroading gear? How did the YouTube channel come into existence? Why do you choose to release your videos in seasons? What are some of the DIY projects you have done? How big is your channel? How many people do you use to produce your videos? What equipment do you use to produce your videos? What trips have you taken? What trip didn’t live up to your expectations? Biggest trip fail? What does season 4 have in store? Were can we find you? We are a proud part of the firearms radio network. firearmsradio.tv your one stop shop for your firearms radio entertainment. Please leave us some feedback at offroadpodcast@gmail.com also leave us some comments on itunes, our web page or on your podcatcher app to help promote the show. Full show notes available at firearmsradio.tv/the-off-road-podcast/207. Don't forget to visit our facebook facebook.com/offroadpodcast our Instagram @offroadpodcast or our Youtube. And always, when offroad please remember be smart, courteous, alert, safe and as always have fun & tread lightly, And thank you for listening.